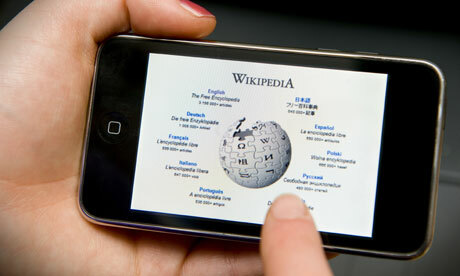 French secret service agents have been accused of censorship after reportedly threatening to arrest and charge a French Wikipedia volunteer unless he deleted an article on the internet encyclopaedia. Intelligence operatives claimed the article, online since 2009, contained "classified" military secrets and was a risk to national security. However, Wikipedia says the Direction Central du Renseignement Intérieur (DCRI) – the French equivalent of MI5 – failed to provide proof that the article was a threat to the country, or produce a legal order justifying its action. "This is shocking and absolutely wrong. We have always operated within the law and have no desire to pose a threat to individuals or nations," Christophe Henner, vice-president of Wikimedia France, said. The Wikipedia entry concerned a military radio relay station at Pierre-sur Haute, between the Rhône-Alpes and the Auvergne, 70 miles west of Lyon. The page was launched after the broadcast of a French television programme about the station, which is under the control of the French air force and is thought to be part of France's nuclear detection and deterrent network. The programme included an interview with an air force major based at the station. In March this year, the DCRI, a division of France's interior ministry, contacted the Wikimedia Foundation, the parent organisation that hosts Wikipedia, and asked it to take down the page. It claimed the page contained classified military information and broke French law. Wikimedia said the page "corresponds almost perfectly" to the publicly available television video and asked for details of which part of the entry contravened the French law cited by the DCRI. It heard nothing back, and the article remained online. Last Thursday morning, a 30-year-old curator with the Bibliothèque Nationale de France, who is also a Wikipedia volunteer and has administrator's access to the site's controls, was summoned to the DCRI's Paris offices. The man, who does not wish to be named, had no connection with the contested Wikipedia entry, but was ordered to take it down. When he explained "that's not how Wikipedia works" and told them he had no right to interfere with editorial content, he was told he would be held in custody and charged if he failed to comply. Later, in the Wikipedia discussion thread, he passed on the warning that anyone who reposted the entry would be "engaging in criminality". The interior ministry denied the Wikipedia volunteer had been subjected to threatening behaviour. "In a state of law, the threat of taking legal action against a passage that poses a problem for national security cannot be considered a threat," a spokesperson said. Henner said: "The DCRI regularly asks us to go and explain to their operatives how Wikipedia works, so this volunteer thought he'd been summoned to explain or show them something. "Had the DCRI presented us with documents or a legal order showing us this was a threat to national security we would have taken down the page at once. Instead they summoned one of our volunteers and ordered him to take it down, saying he would be held in custody if he didn't. Yes, he felt threatened and he was shocked." The page has since been restored by a Swiss Wikipedia contributor. Henner said the DCRI's heavy-handedness had resulted in huge interest in the page. "The publicity has resulted in the complete opposite of what the DCRI sought to achieve. Before this happened there were between 10 and 60 visitors to the page concerned. Now there are around 10,000 from around the world." Henner added: "That said, if the DCRI comes up with the necessary legal papers we will take down the page. We have absolutely no problem with that and have made it a point of honour to respect legal injunctions; it's the method the DCRI used that is shocking." The specialist new technology website zdnet.fr agreed, writing: "When officials decide to order the suppression of an article in the free encyclopedia Wikipedia in the name of military secrecy and in doing so put pressure on a Wikipedien [sic], summoning them to their office and threatening them with being held in custody and put under charge immediately if they don't comply, what country do you think of: China, Iran, or other 'internet enemies'? But no. This was in France." I can imagine that Google's cache of the thread "Behind Bars, before the Bar" deleted from Blogger also gets a lot more views from interested readers from Korat now than the original blog got. Those methods of popularization must have something to do with the understanding of "Liberté d'information" by native speakers of French.